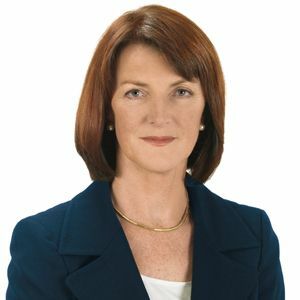 Eimear Mulhern was appointed as Chairman of the Board of Robert J Goff & Co. Plc in March 2008 and has been Chairman of Goffs Bloodstock Sales since 2005, when she succeeded Michael Osborne. She is an established and successful breeder and consignor through her Abbeville & Meadowcourt Studs. Eimear has given considerable service to the bloodstock industry over the years and has been involved at every level of the business including; Chairman of The Irish Thoroughbred Breeders Association, Chairman of the European Breeders Association,Chairman of Irish Thoroughbred Marketing, Director Irish Horse Racing Authority,Board Member of the Irish Equine Centre, and Board Member of the Racing Apprentice Centre. Eimear currently holds the following positions; Chairman of Robert J. Goff & Co. Plc, Chairman of Goffs Bloodstock Sales, Director Arqana SA, Director Horse Racing Ireland, Committee Member Irish Thoroughbred Marketing, Council Member Irish Thoroughbred Breeders Association. Eimear also serves on the Board of the Mater Hospital Foundation.